Shopping plazas in the Grace Bay region of Providenciales. 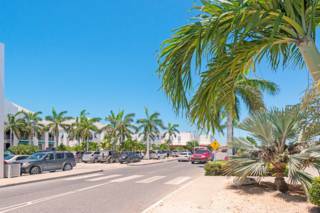 The majority of commercial and retail businesses on the island of Providenciales, such as shops, law firms and real estate agencies, are located in small and medium-size commercial plazas. 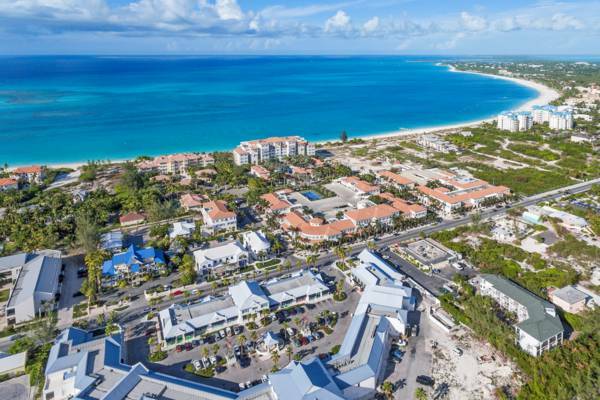 Due to the smaller populations, the other islands do not have quite the selection of properties that Providenciales has, yet small commercial plazas can be found in most settlements. As may be expected, location greatly affects unit rental rates. 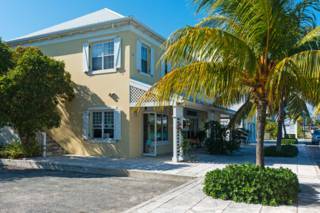 In central Providenciales, a 1000 square foot (93 m²) in a presentable complex can often be rented for under $1000 per month. 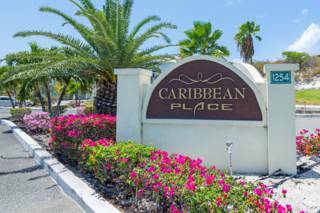 In prime areas such as Grace Bay, rates tend to be at least double that. Location plays a critical role in any commercial endeavour, and can make the difference between success and failure. In the case of Providenciales, any business that relies on walk-in and foot tourism traffic needs to be seen by customers. Consequently, this means that it’ll likely have to front the “ Grace Bay Strip” which is a one mile (1.6km) stretch of Grace Bay Road and the home of most of the country's luxury resorts. Traditionally, professional services such as banks and lawyers were located in the Downtown region of Providenciales, as was most government offices. 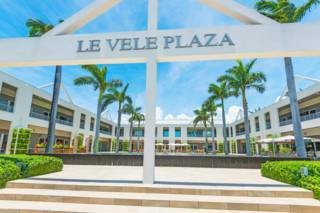 However, this has begun to change over the last decade, and the upper levels of the Grace Bay shopping plazas and the Graceway Plaza on Leeward Highway are now favoured sites. 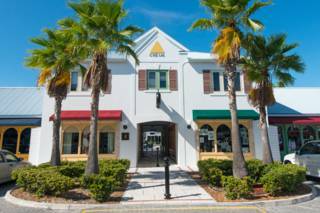 The expansions of two local banks reflect this, as both Scotia Bank and First Caribbean now have Grace Bay branches, and Royal Bank of Canada’s main location is adjacent to Graceway Plaza. Some of the smaller tourism enclaves may be worth considering as well. In addition to the marina, the Turtle Cove area now supports quite a few accommodations, restaurants and vacation villas. Car parking is another consideration. Due to the limited landmass and property size, the commercial complexes in the Turks and Caicos often have poorly-designed and insufficient parking spaces. Many of the newer sites have improved on this, yet frustrating and dangerous layouts still are common. Units and offices in many of the plazas are offered for sale at times, and depending on the business, it may make financial sense to buy instead of lease. In most cases, strata and maintenance fees apply. Keep in mind that Stamp Duty applies on real estate purchases, and may be as high as 10% of property value. Due to the premium value, purchasing vacant land in an area of high tourism foot traffic is out of reach for many small businesses, and construction tends to be costly as well. 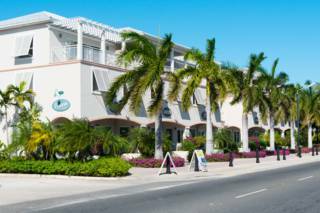 Found in central Providenciales, The Caribbean Place is an office and professional business complex. Built in the mid-1990s, this was one of the first shopping complexes on the island. 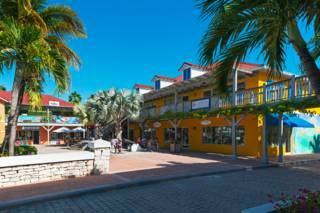 Courtyard Plaza is a shopping area located on Leeward Highway, Providenciales. Mostly professional services are located here, as it's no easily accessible by tourists. 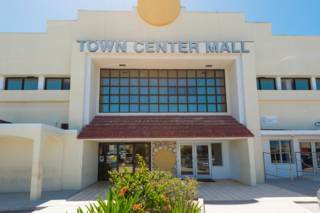 The Town Center Mall, located in Downtown Providenciales, was the first major shopping area on Providenciales and remains the only 'mall' in the country.